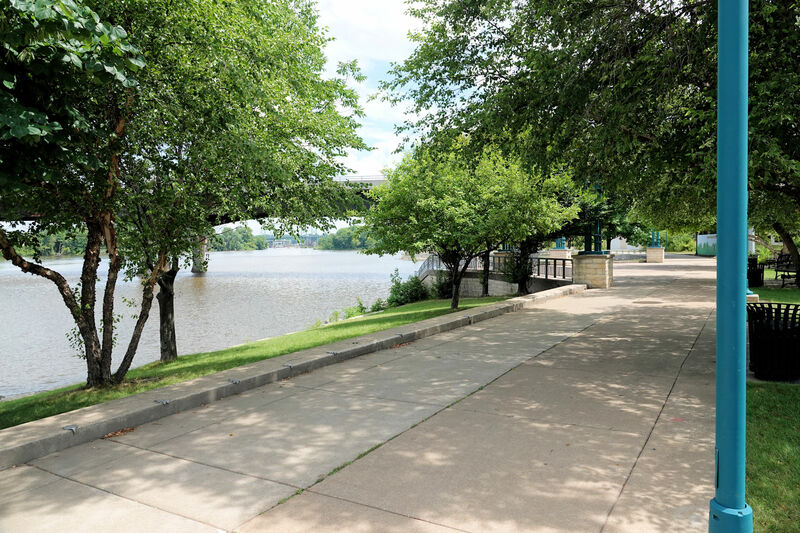 The 62-mile Great River Trail, from Rock island to Savanna, Illinois, is always within sight or sound of the Mississippi River. Cyclists, hikers, walkers and other users will find an experience hearkening back to Mark Twain. In the 19th century, Twain wrote glowingly about the majestic stream in Life Along the Mississippi. The Great River Trail parallels Illinois Highway 84, also called "The Great River Road" (a nationally designated Scenic By-way). The Great River Trail route affords a variety of things to do and see, including at least 80 tourist opportunities. Most of the trail is situated on flat, scenic lands, easily traversed by the myriad of users. But, spectacular views await the hearty in the City of Savanna, where as a side challenge, you can try a climb to the top of the towering bluffs of Mississippi Palisades State Park. 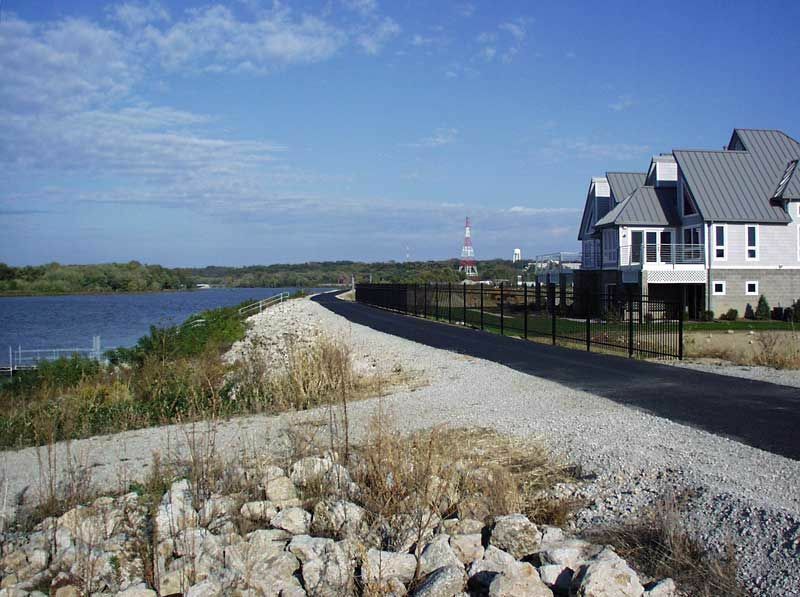 The trail has many unique features, everything from the urban Quad Cities metropolitan area - to Native American mounds of the Hopewell culture - to rookeries of Great Blue Heron. Restaurants, motels, hotels, bed and breakfasts, stores and parks abound in the eleven communities conveniently spaced along the route. The trail is also a section of the Mississippi River Trail and the American Discovery Trail. Great River Trail - Moline, IL - 7-10-2018. Photo by Jim Walla.